Animal Crossing is a game series developed by Nintendo that publishes and publishes, where players will live in a village of various animals, performing various activity simulations from the human life like fishing, catching insects, finding fossils …This game series has open gameplay, applying a calendar and time based on real time. Animal Crossing has been released worldwide, including Animal Crossing (2001), Animal Crossing: Wild World (2005), Animal Crossing: City Folk (2008), Animal Crossing: New Leaf (2013). Animal Crossing: Happy Home Designer (2015), and the latest game Animal Crossing: Pocket Camp (2017). For each version of the game in the series, Nintendo released on a certain platform such as GameCube, Nintendo 3DS, Android, iOS … And the game I mentioned today, Animal Crossing: Pocket Camp, is a game that free release for 2 mobile platforms, Android and iOS (Including iPhone and iPad). Nintendo created the project two years ago, but it was delayed after they switched to another project called Super Mario Run and until now we have been able to experience the game. The game is quite similar to a game in Vietnam that about 3 or 4 years ago – Avatar World. Basically, the Animal Crossing: Pocket Camp is similar to the other titles in the game series. Specifically, the player who will be transformed into a human being who moves into a small camp, where you will manage your campsite, meet and interact with people and animals living around. 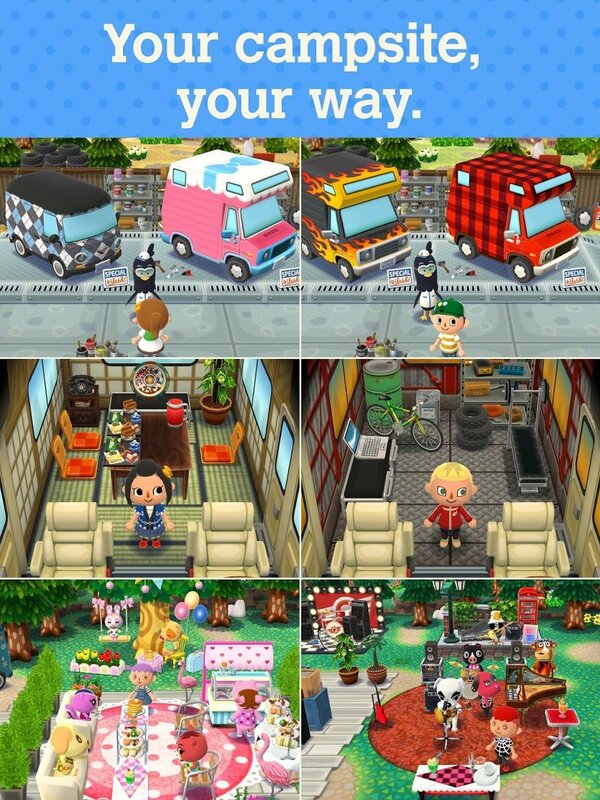 The game does not have a specific goal for the player, you will be living in a specific area, and perform activities such as building your own campsite, collecting items, doing small tasks, buying and selling and decorating their own home. Animal Crossing: Pocket Camp is highly customizable, greatly influencing the outcome of the game. 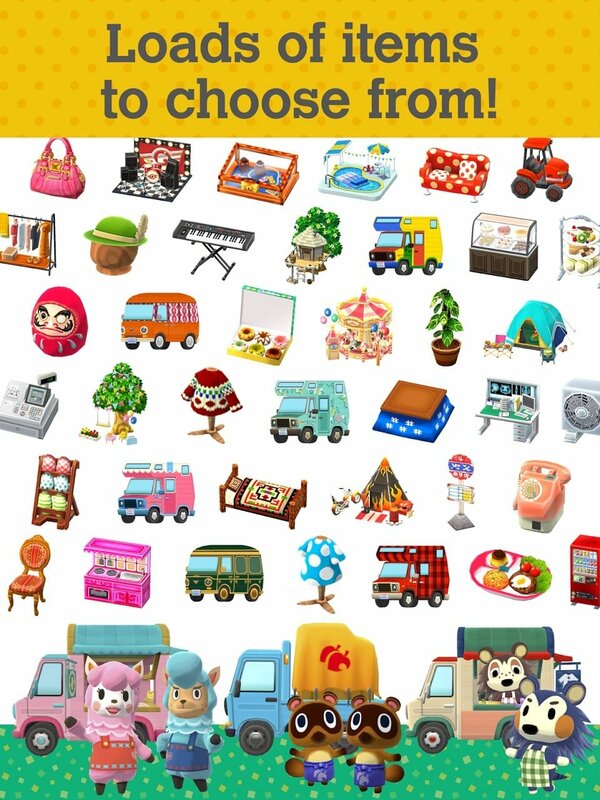 Initially, you can choose gender and name your character, you can also buy different types of clothes, accessories or change your hairstyle … Your camping area can be decorated, expand and add furniture to any place. You also can change your name using real money. Collecting decorative items is considered to be the main part of this game, you can collect through fun quests in the game by moving to the nearby amusement parks, helping residents and Animals where they need things and collect rewards. Then you can go to the blacksmith’s place to make furniture. In addition, you can manually search for these materials by wandering around the beaches and surrounding islands; Play other free-to-play games in the game. Another common feature is fishing, you can use fishing rods or use the net to catch more fish. This is an interesting activity, and fish can also be used as a raw material for furnishings in the game. Animal Crossing: Pocket Camp also uses a virtual currency called Leaf Ticket, which is used to purchase the items needed during the game. You can earn Leaf Tickets by selling items in the game, play minigames or use real money to buy them. An interesting point of Animal Crossing: Pocket Camp is the ability to interact with other animals and players. Different animals have different preferences, so when you create a nice and creative campsite, you will attract them to visit your campsite and increase your “friendship” level with them. Alternatively, you can exchange your IDs with friends so they can visit your campsite when they have an Internet connection. This game has a system of time and calendar based on reality, so the activities in the game will always change with the season, and even throughout the year. This time, Nintendo enough time to bring to Animal Crossing: Pocket Camp a really nice 3D graphics in a fun cartoon style. The game has beautiful details, bright and very eye-catching effects. 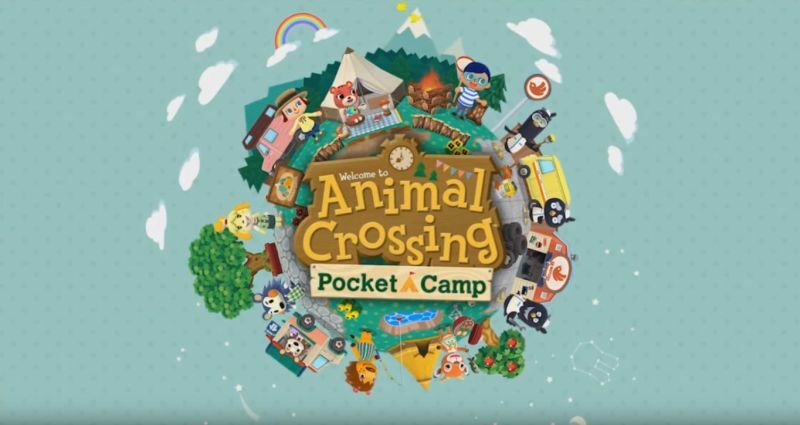 If developed well enough and appropriate, even Animal Crossing: Pocket Camp may have the potential to be one of Nintendo’s most exciting mobile games. Apparently a free-to-play game like Animal Crossing: Pocket Camp turned out to be more attractive and attractive to players than a paid game like Super Mario Run. In general, Animal Crossing: Pocket Camp is quite attractive to people who love life simulation games. And this game is free (mod version is available) and supports many different languages. 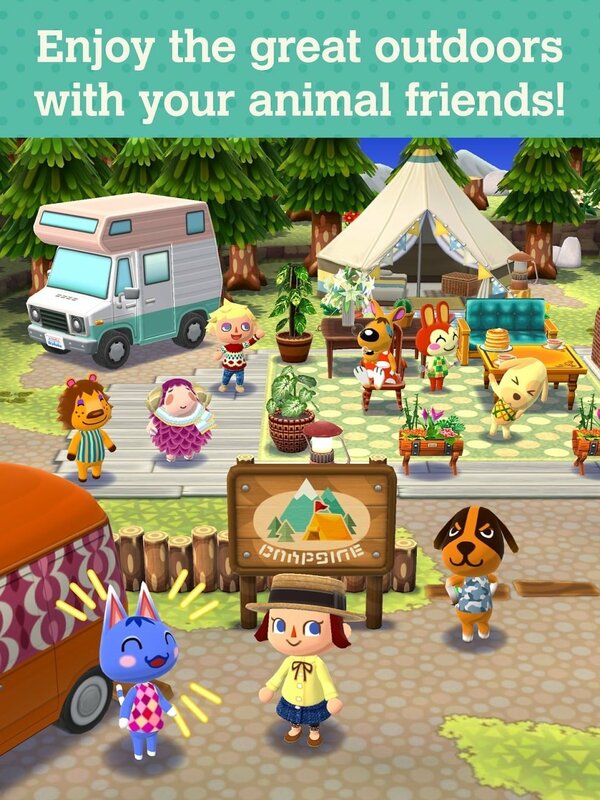 You can play Animal Crossing: Pocket Camp APK MOD by downloading the game via the link below, which is available for both Android and iOS. You will need an Android 4.2 or higher or iOS 8.0 or higher to play this game. Animal Crossing APK is ready to download! 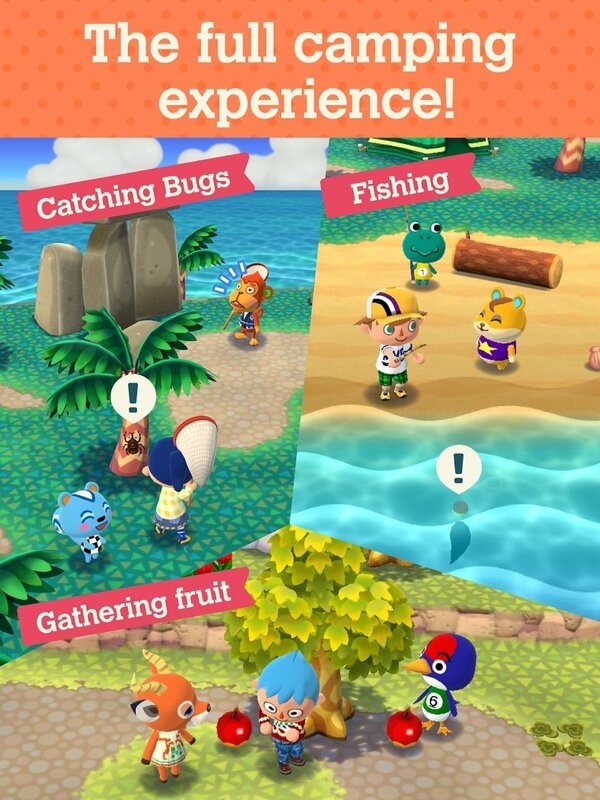 Depending on your needs, you can download Animal Crossing MOD APK or Animal Crossing Original APK. Or install from Google Play / App Store if you want.